But is that really true? Are you and your family actually in more danger on this day than any other? It all depends on who you are, where you live, and who you ask. After all, any-time alcohol use increases—as it does on Halloween, as well as New Years, the Fourth of July, and even Christmas—so do the chances of crime and accidents. The National Highway Traffic Safety Administration found that on Halloween nights between 2009 and 2013, over 40% of deaths caused by vehicle involved a driver who had been drinking. Parties where alcohol is served are common, and, as harsh as it sounds, when the roads are wet and the streets are more crowded than usual, the chances a drunk driver will hit and injure someone are much higher. Any increase in crime could also be explained by the hours when people are out and about. Statistically, most violent crimes occur between 7 pm and 1 am, peaking at 10 pm—the times also favored by trick-or-treaters on Halloween. However, it’s not just violent crime that increases on this holiday. According to data acquired by Traveler’s Insurance in 2016, crime-related insurance claims spiked by 24% on October 31st. So, what’s the NUMBER ONE type of criminal activity that increased on Halloween? Property crime. And while vandalism is indeed common, 60% of these claims involved theft from the home, including breaking and entering, whether you’re there or not. If you leave the house, leave the lights on. This will hopefully make any potential burglars think someone is home. Don’t post on social media until you’re back. 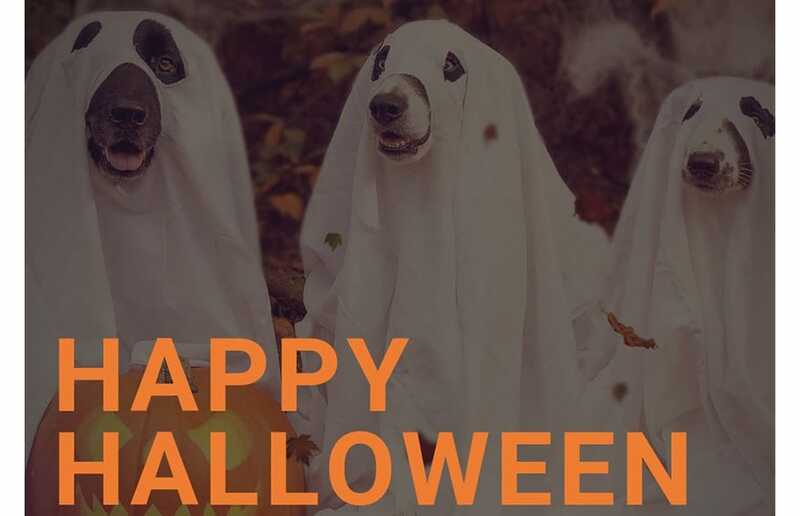 As cute as your kids or pets might be in their costumes, posting a picture on Facebook of them at a party across town lets criminals know your house is empty… AND a prime target. Clear your car of any valuables. Don’t forget to remove anything you don’t want to lose from your car, especially if it’s not parked in a garage. Keep your doors and windows locked, even when you’re home. It’s easy to forget to lock your door after you’ve just finished handing candy out to a group of little monsters. But that also makes it just as easy for a burglar to slip in when you’ve stepped away later. Move valuables out of sight. If trick-or-treaters can spot your flat-screen TV from your doorway, so can a burglar. Sign up for monitored home security. With EMC Security keeping watch, you can enjoy your night without worrying about whether your home is safe. We’ll be keeping watch, and with our security cameras, so can you, right from your mobile phone!